Any information and style element provided on our website www.schmidt-bender.de, in particular, any texts, images, graphics, sound, and animated files as well as their respective configurations shall be subject to copyright and all other provisions of the applicable laws for the protection of intellectual property. They must not be copied, modified or otherwise reproduced or used for commercial or private purposes or distribution, including the use on other websites. The website of Schmidt & Bender GmbH & Co. KG may contain material which has been made available by other manufacturers, authors or other right holders. This material shall be subject to the copyright of those who have made the material available. Any reproduction of texts, images, graphics, sound and animated files and their respective configurations requires the expressive approval in writing by Schmidt & Bender GmbH & Co. KG or by the respective author, manufacturer or right holder. The copyright of the author, manufacturer or right holder shall remain intact. The right of use shall remain with the publisher, author or manufacturer and may not be transferred to any third party without the respective approval in writing. Any text not bearing the name of the author shall be subject to the copyright of the publisher. Any reproduction on other electronic and non-electronic media shall be equally prohibited. The trademarks and logos used on the website are registered trademarks and shall be subject to the sole use by Schmidt & Bender GmbH & Co. KG. The use of these trademarks (brands and logos) in any form shall be prohibited. These trademarks may only be used upon prior written authorization from Schmidt & Bender GmbH & Co. KG. No licensing rights shall be granted with respect to the intellectual property of Schmidt & Bender GmbH & Co. KG, in particular, as far as the company’s patents, trademarks, logos, copyrights, and this website is concerned. The use of this website shall be at your own risk. Schmidt & Bender GmbH & Co. KG shall not be liable for any direct or indirect damages that may occur from the access or the use of this website. Schmidt & Bender GmbH & Co. KG will perform regular reviews and updates of the information included on this website. Despite such reasonable care data may be subject to change. It may also be the case that individual information may, despite the continuous reviews and updates, no longer be current, complete or otherwise correct at the time of use. We cannot be held liable or warrant that the information made available on this website and its contents will always be up to date, correct or complete. Products and their prices may be subject to change after the editorial deadline or individual pages of this website have been edited, modified or updated. We reserve the right to realize modifications in design and form, modifications in the scope of delivery or performance as well as variations in color and price changes with respect to the individual products during the delivery period, provided such modifications or deviations will be reasonable considering the interests of Schmidt & Bender GmbH & Co. KG and of the respective customers. Some images may also include accessories, special equipment or other complementary services which do not form a part of the standard scope of delivery or services. In these cases the customer may not demand the delivery of such products that do not belong to the standard delivery and services without submitting an additional purchase order considering the applicable additional cost due. Variations in color are due to technical reasons and do not constitute a product deficiency. Some pages of this website may contain products and services that will not be provided by Schmidt & Bender GmbH & Co. KG in certain countries. The purchaser may not demand the delivery of a product or the performance of a service which is not offered in his country. Any statements on legal, statutory or tax regulations and their effects shall only be valid for the territory of the Federal Republic of Germany. Outside the territory of the Federal Republic of Germany such statements shall be considered explicitly invalid and unenforceable. The prices valid on the day of the delivery shall apply, with the exception of any price changes resulting from modifications, updates, etc. of the present website. Furthermore, any other provisions from the sales and delivery terms (General Terms) of Schmidt & Bender GmbH & Co. KG shall be explicitly reserved. The quoted prices shall be considered by our dealers as recommended retail prices. Please consult our authorized dealers for the final applicable price level. This website may contain links to websites of other manufacturers, publishers, right holders, or providers. Schmidt & Bender GmbH & Co. KG will assume no responsibility whatsoever for the contents of websites that may be accessed from its own website via such links. Any access on other websites shall be at the exclusive risk of the user. In particular, Schmidt & Bender GmbH & Co. KG will not check the linked websites for any possible damage that may occur for the user. The contents of the linked website shall be the sole responsibility of the producer, publisher, right holder or provider of the respective website. Any views, statements or opinions expressed therein do not reflect the views, statements or opinions of Schmidt & Bender GmbH & Co. KG and its employees. To put us into a position which enables us to permanently improve and enhance the offer of Schmidt & Bender GmbH & Co. KG for our customers as well as our website, the data information communicated by the user during the visit of our website (including personal information) will be collected and processed in accordance with the legal regulations valid in the country where the data processing authority has its place of business. This representation with respect to the protection of data shall not apply to websites connected to the website of Schmidt & Bender GmbH & Co. KG via link. The legal and proper collection of user data (including personal data) in accordance with the applicable regulations for the protection of data by the producers, publishers, right holders or providers of the linked websites may not be guaranteed by Schmidt & Bender GmbH & Co. KG. When accessing the website of Schmidt & Bender GmbH & Co. KG the data of the individual user will be automatically collected. This information is usually any general data such as for instance the date of the visit, the browser used, the operating system used by the visitor, the domain name of your internet provider and the like. This data is comprised exclusively of information which will not allow us to make any conclusion as to your personal identity. Personal data, i.e. information which will allow us to form any conclusion as to the personal identity of the user will only be stored in those cases where this information has been offered by the user on a voluntary basis within the scope of an enquiry, registration, reservation, poll, the request for obtaining our newsletter or within the scope of the conclusion and performance of contracts. The personal information you make available will be used by Schmidt & Bender GmbH & Co. KG solely for the purpose of managing the website of Schmidt & Bender GmbH & Co. KG, as well as for customer management, establishing a general customer database, preparation of statistics in the areas of customer interests, satisfaction, and purchasing behavior, as well as a guideline to improve our service offers (product registration and enhanced warranty) and for the purpose of offering an online newsletter. In this context, the use of the information shall be exclusively restricted to the required scope. Personal user information shall not be forwarded to any third party. Our employees, representations and dealers have been committed to keep all information absolutely confidential. Personal user information shall only be communicated by Schmidt & Bender GmbH & Co. KG to governmental bodies and authorities within the scope of the compulsory statutory regulations. The personal information made available by the user to Schmidt & Bender GmbH & Co. KG on a voluntary basis will additionally be used by Schmidt & Bender GmbH & Co. KG for the purpose of developing new products by conducting product surveys and in order to provide customers with complementary information. If an individual user is adverse to such a use of his personal information he shall be free to notify Schmidt & Bender GmbH & Co. KG of this fact any time. In this case the information shall be restricted accordingly. Such a notification must be addressed to the person at Schmidt & Bender GmbH & Co. KG who is responsible for data protection. Upon his request Schmidt & Bender GmbH & Co. KG shall inform the individual user whether any and which personal information are stored by the company. This information is subject to the applicable legal provisions. If, in spite of all the efforts at their current state and correctness, the personal information is stored improperly, the information shall be corrected at the request of the user. For any questions with respect to the processing of personal user information please contact the Schmidt & Bender GmbH & Co. KG responsible for data protection issues. The information rights described above must also be claimed via the Schmidt & Bender GmbH & Co. KG responsible for data protection issues. Schmidt & Bender GmbH & Co. KG uses technical and organizational safety measures to protect the collected, processed, and stored personal information of the users against manipulations, loss, destruction, and accessing by unauthorized persons. These safety measures are subject to a constant process of review, enhancement, and updating in accordance with current technological developments. When using the website of Schmidt & Bender GmbH & Co. KG so-called Cookies are being employed. Those are text files containing information in order to identify recurring users. The identification process will last only as long as the user is visiting the website of Schmidt & Bender GmbH & Co. KG. The Cookies will be stored on the hard disk of the user where they will cause no damage whatsoever. The Cookie on the user’s computer will not store any data unless the user has given his explicit authorization to do so. The individual user may, through a corresponding modification in the browser settings, prevent Cookies from being stored on his computer, while the viewing of the Schmidt & Bender GmbH & Co. KG website will still be enabled. Nevertheless, the blocking of Cookies may result in a restricted use of certain functions within individual offers of the aforementioned website. to complain to a supervisory authority pursuant to Art. 77 DSGVO. As a rule, you can contact the supervisory authority of your usual place of residence or workplace. A list of data protection officers and their contact details can be found at the following link: https://www.bfdi.bund.de/DE/Infothek/Anschriften_Links/anschriften_links-node.html. which mailing list (hunting, police and military and/or sports) would you like to receive). In addition, we require confirmation from you that you are the owner of the email address provided and that you agree to receive the press mailing list. After registration, you will be sent a link to the email address you entered, which you should click to confirm (double opt-in). Only then will we be able to send you the press mailing list. Please note that the fields marked with an asterisk (*) are mandatory fields. Fields marked without an asterisk (*) are optional. This data is collected for the purpose of sending you the press mailing list. Data processing for the purpose of sending our press mailing list is carried out in accordance with Art. 6 Para. 1 S. 1 lit. a DSGVO on the basis of your voluntary consent. We maintain this so-called fan page on facebook and Instagram. When you visit this fan page, personal data, if applicable, is transferred to the provider of the social network. It is possible that, in addition to the storage of the data specifically entered by you in this social medium, further information is processed by the provider of the social network. Moreover, the provider of the social network processes the key data of the computer system from which you visit said social network – such as your IP address, processor type, browser version and plugins. Please bear in mind that data of users can be processed outside of the European Union. This can entail risks for the users because it could, for example, complicate assertion of the rights of users. 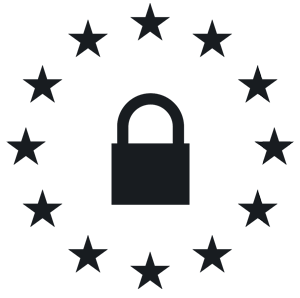 US providers who are certified under the Privacy Shield are obligated to observe the data protection standards of the EU. If you are logged into the relevant network with your personal user account when you visit such a web site, said network can assign the visit to your account. The processing of personal data of users takes place on the basis of our legitimate interest in effectively informing the users and communicating with the users in accordance with Article 6, para. 1, f of the GDPR. If users are requested to consent to the prescribed data processing by the providers of the platforms, the legal basis of the processing is Art. 6, para. 1, a and Art. 7 of the GDPR. In the case of a request for information and the assertion of user rights, please consider that matters can be addressed and rights can be asserted most effectively with the providers. Only the providers have the relevant access to the data of the users and can intervene directly with appropriate measures and provide information. Nevertheless, you can contact us if you require assistance. Facebook (Facebook Ireland Ltd., 4 Grand Canal Square, Grand Canal Harbour, Dublin 2, Irland), Facebook pages based on an agreement on joint processing of personal data – Privacy statement: https://www.facebook.com/about/privacy/, Opt-Out: https://www.facebook.com/settings?tab=ads und http://www.youronlinechoices.com, Privacy Shield: https://www.privacyshield.gov/participant?id=a2zt0000000GnywAAC&status=Active. Instagram (Instagram Inc., 1601 Willow Road, Menlo Park, CA, 94025, USA) – Privacy statement / Opt-Out: http://instagram.com/about/legal/privacy/. Pinterest (Pinterest Inc., 635 High Street, Palo Alto, CA, 94301, USA) – Privacy statement / Opt-Out: https://about.pinterest.com/de/privacy-policy. LinkedIn (LinkedIn Ireland Unlimited Company Wilton Place, Dublin 2, Irland) – Privacy statement https://www.linkedin.com/legal/privacy-policy , Opt-Out: https://www.linkedin.com/psettings/guest-controls/retargeting-opt-out, Privacy Shield: https://www.privacyshield.gov/participant?id=a2zt0000000L0UZAA0&status=Active.